Looking for those hard-to-find Glass Hookahparts and hookah accessories? You'll find them here at SouthSmoke.com. 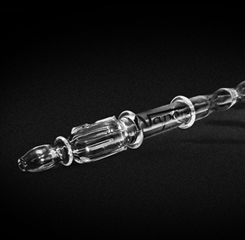 Choose from glass stoppers, glass hose adapters, glass pressure release valves, glass hookah bowls, and more. 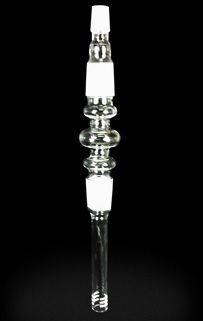 Find the glass hookah accessories you need for your Vapor all glass hookahs and return to having great hookah sessions! Owning an all glass hookah is a mark of pride for many hookah lovers. These finely crafted hookahs are simultaneously excellent hookahs and beautiful pieces of art. However, all craftsmanship aside, glass hookah parts may become worn over time. 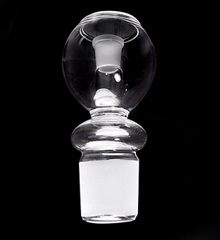 To prevent a hookah disaster, we at SouthSmoke.com carry the full suite of glass hookah accessories. Everything your glass hookah needs, from base to bowl, is here for whichever kind of glass hookah you own. Hookah Bowls - We carry hookah bowls that are compatible with all six Version 2.0 glass hookah models by Vapor Glass Hookahs. 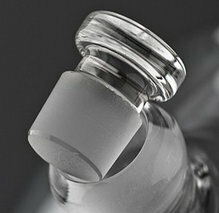 Each hookah bowl has a vortex design and holds up to 25 grams of hookah tobacco. We also have a special bowl just for the Lotus glass hookah. 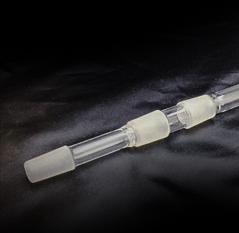 Glass Down Tube - We carry glass down tubes for both Version 1.0 and 2.0 Gladiator hookahs by Vapor. 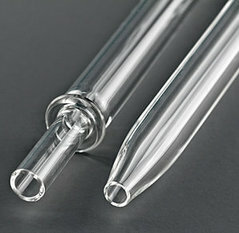 We also carry a glass down tube for the Harmony hookah. 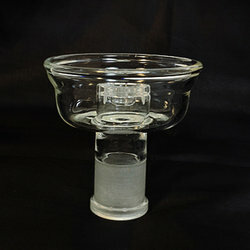 Hookah Trays - Glass hookah trays act as ash catchers for the Gladiator and Harmony hookahs by Vapor. Glass Hookah Hose Handles - Glass hose handles for any Vapor hookah are available at SouthSmoke.com. 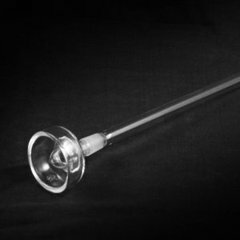 A special hose handle for the Symphony hookah by Vapor is available as well. All glass hose handles are compatible with Vapor silicone hoses. 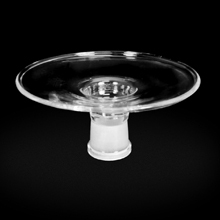 Other glass accessories - You may also choose all glass hose stoppers, stem adapters, and pressure release valve sets from our selection. Besides routinely replacing glass hookah accessories when you need them, you can care for your glass hookah in other ways. Consider keeping your glass hookah in its carrying case when transporting it or when it's not in use. Protective padding will keep parts secure to prevent accidental breakage. Keep your glass hookah in good working addition by cleaning it on a regularly basis. Carefully take your hookah apart and then use warm water, hookah cleaning solution, and hookah brushes to clean the pieces. This will ensure each hookah session will be fresh and clean. Need help finding the replacement accessories you need? Contact us for assistance.